Nearly a century after hunters shot dead the last wolf in California, they may be readying for a comeback. Whether the state's human inhabitants are prepared to receive them, however, is another question entirely. In 2011, a lone wolf known as OR-7 crossed the Oregon border into California for the first time in 90 years, roving the northeast corner of the state for 15 months before crossing back over. This weekend, he briefly visited again -- prompting conservationists to urge lawmakers to grant the animals legal protection from the same threats that wiped them out originally. More wolves, they say, may be on the way and they should be welcome. "Scientists have identified more than 50,000 square miles of suitable wolf habitat in California, so no one should be surprised that OR-7 finds it suitable too," Amaroq Weiss, of the Center for Biological Diversity, tells the Sacramento Bee. 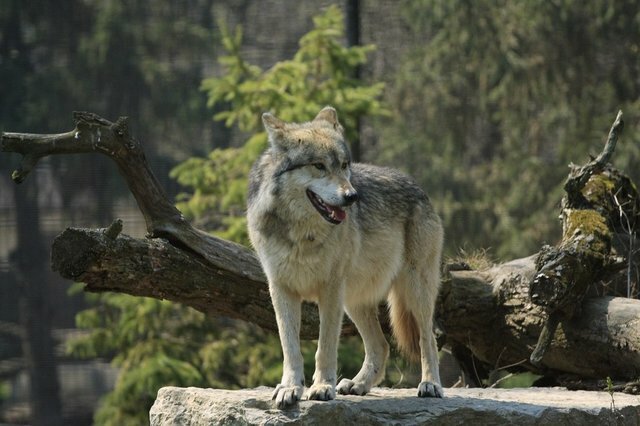 "As sure as anything in nature, more wolves will be crossing the line into California." As legislation threatens to change decades-old legislation that protects the species Federally, Weiss and others want California to list the animals as an Endangered Species -- especially now that they are are, at least, temporary residents. "Anyone who says wolves don't need state protection because there are no wolves here today isn't facing up to the scientific reality," she says.